My husband and I are always looking for ways we can give back. Sometimes it's paying for the person behind us at the drive through, sometimes driving someone home from church, and sometimes it's simply by praying for others or sending a card. But we know the importance of giving back and we want to be intentional about doing so. Alright friends and family! I have something really great that I'm working on! 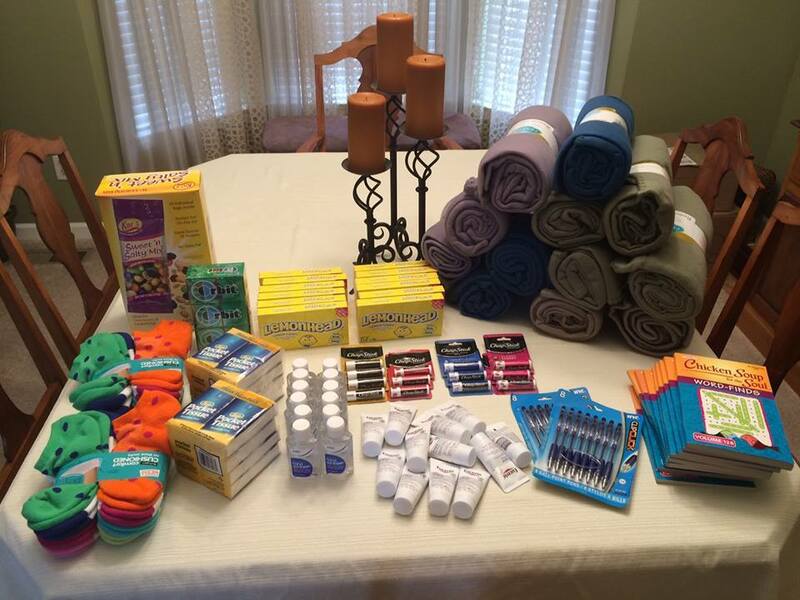 I want to sponsor 31 chemo bags to a local center next month. And I need your help! One of my many goals this year is to GIVE BACK. And this is just the first endeavor! 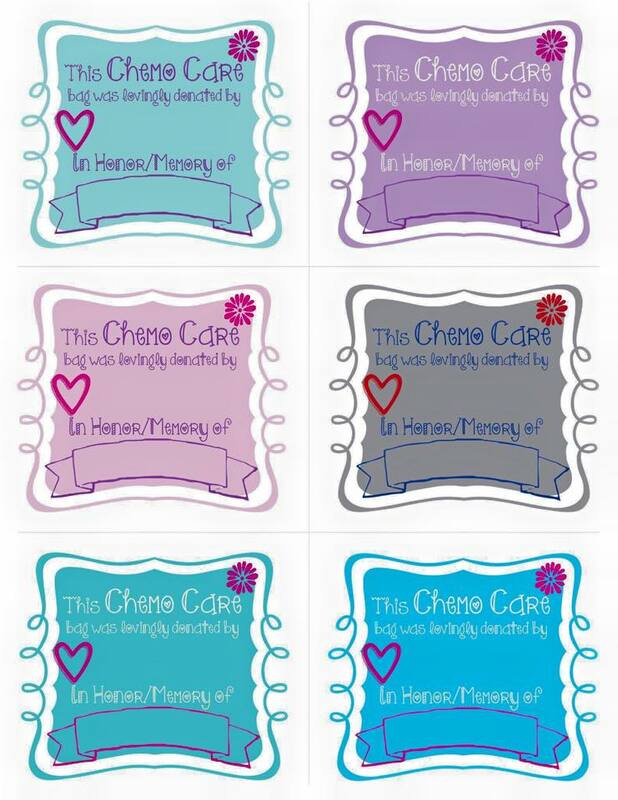 Each and every bag will be tagged in memory or in honor of a loved one of the specific person who donates. 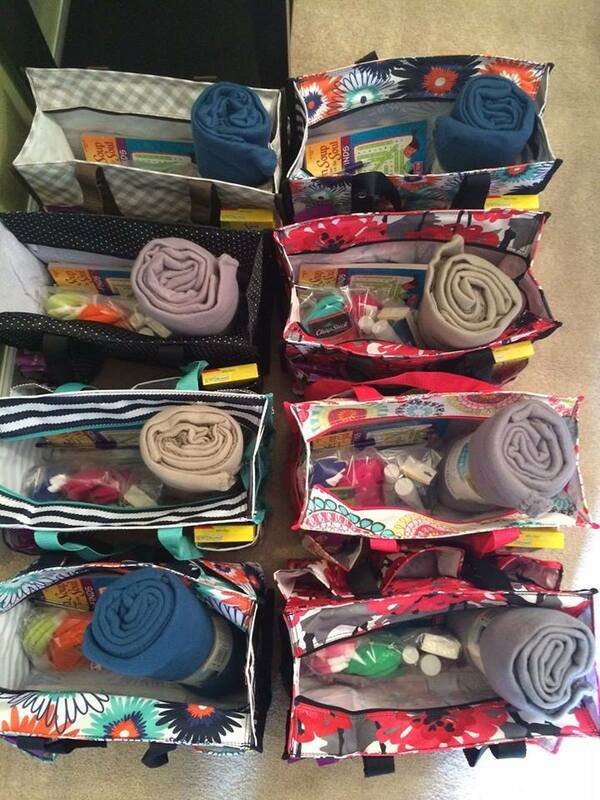 Check out the pictures below of the items that made it into just SOME of my friends' bags last year! Your $25 donation will provide a large zip-top tote bag that has 7 pockets and I will take care of the rest! They can use the bags to carry their personal items (books, electronics, drinks & supplies) to/from their treatment appointments throughout their journey. I know we can pull this off together and bless some amazing people during a tim when they could sure use a blessing! Here is how it works: You can sponsor as many bags as you would like for $25 each. I will use ALL of my commissions that are made on the bags to fill them with things like chapstick, warm socks, blankets, crossword puzzles, tissues, candy, etc. If you would like to sponsor a bag, you can comment below with "I want to sponsor ____ bags!" And leave your email address, and I will follow up with you. to the bags in honor of someone. Some items inside the bags. I know this seems like an odd blog post for me, but I truly believe in giving back. With my grandfather going through cancer treatments, one of my best friend going through cancer treatments, and several other friends who have experienced chemo, I truly believe in this project. 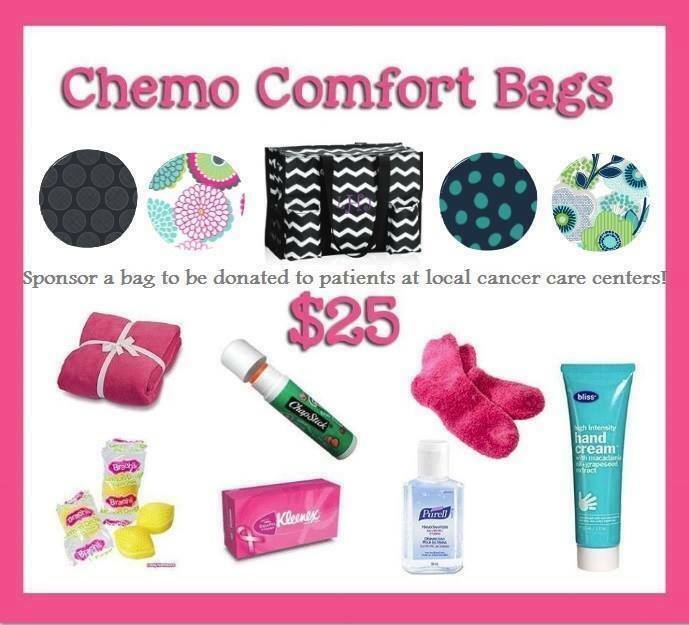 TONIGHT, I am ordering my first set of Chemo Care Bags, so if you want to get in on this blessing opportunity, be sure to comment below with how many bags you want to sponsor and your email address so that I can email you. You can either pay via paypal OR give me a credit card number.